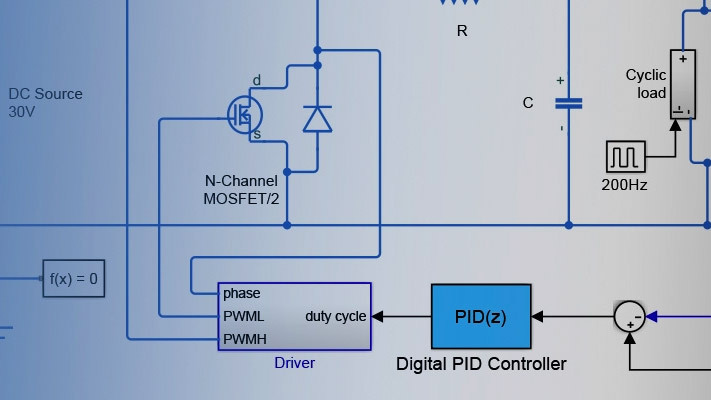 This example shows how you can import a motor design from ANSYS® Maxwell® into a Simscape™ simulation. 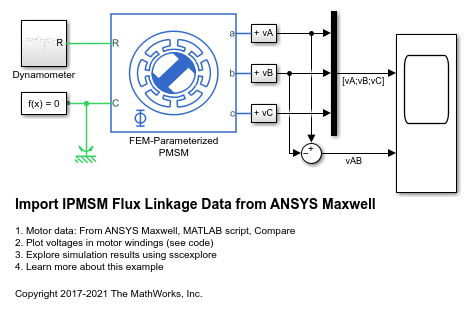 The data file defining the motor flux linkage is ee_ece_data.txt, and is reproduced with permission of ANSYS, Inc. To view the data, open the model from MATLAB® and click on the "From ANSYS Maxwell" link. To read this data into MATLAB, the text file requires some minor editing to make it executable from the MATLAB command line. The resultant script is ee_ece_data.m and can be viewed by clicking on the "MATLAB script" link from the model. To see a summary of the edits, click on the "Compare" link. 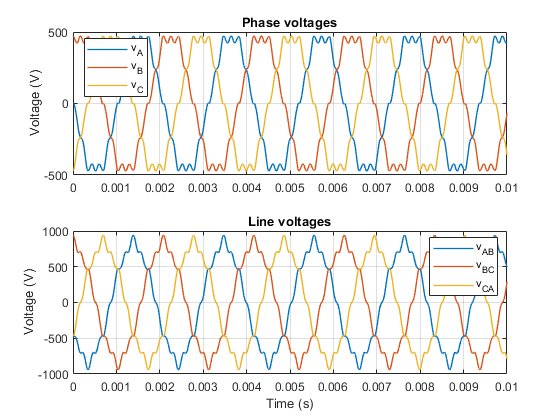 The plot below shows the simulated open-circuit voltages. Notice the nonlinear back EMF profile that would not be captured if using a simplified PMSM model with fixed back EMF constant.